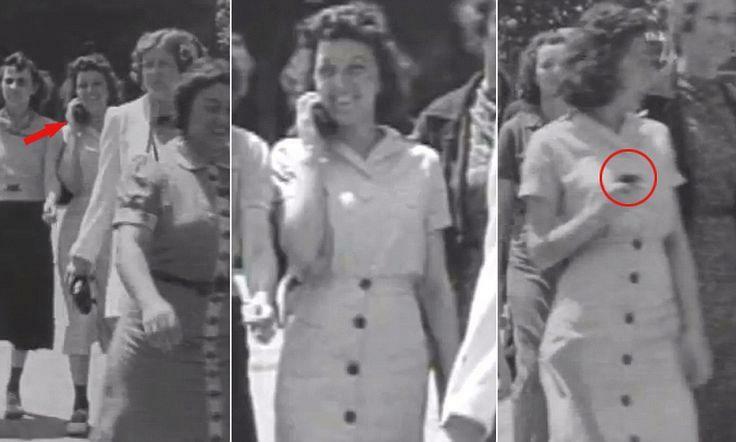 This woman caught on film in 1938 appears to be talking on a cellphone. She was a factory worker, leaving the However, cell phones weren’t invented until 1973, 35 years later. A woman came forward stating to be the granddaughter of the woman in the photo. She claims her grandmother said she was talking on a wireless telephone that her company was testing. Very strange.